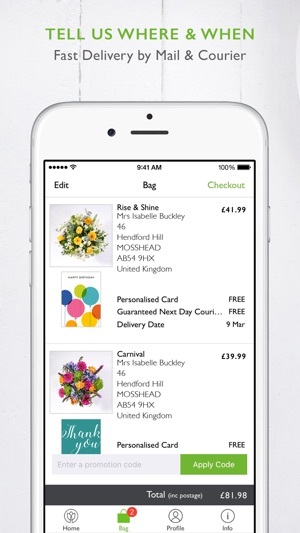 Sending bouquets of fresh flowers straight from your iPhone is fast and easy when you use the reliable Postabloom App. 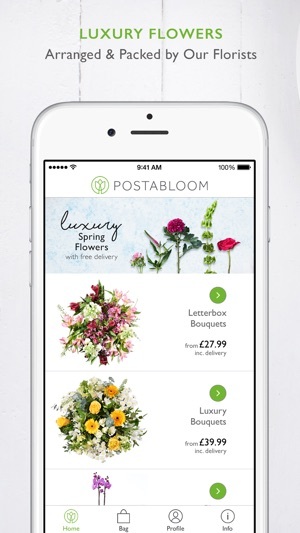 Postabloom offers a stylish range of fresh letterbox-friendly bouquets, hand-tied bouquets and seasonal plants. Prices include FREE next day delivery and a FREE personalised card. 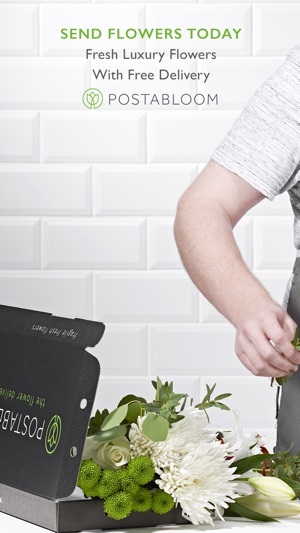 Our letterbox bouquets and seasonal plants are sent in secure packaging using Royal Mail’s next day delivery service. Our hand-tied bouquets are sent using a tracked next day courier service – and next day delivery included in the price you pay. 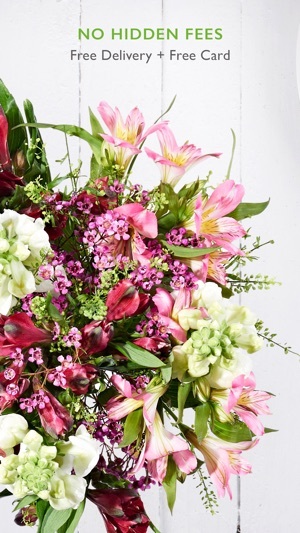 We can post your flowers quickly – generally on the same working day if ordered before 3pm. 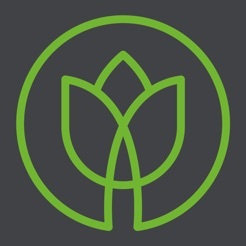 Our premium quality, fresh flowers are chosen by our own team of florists based here in beautiful Dorset. We carefully pack every box right to the brim so that you get maximum value for money. Send impressive last-minute flowers quickly for birthdays, Mother's Day, anniversaries or to say thank you. Call, email or message our friendly Poole-based team. Nothing is too much trouble! - Free reminder service so that you never miss a birthday! 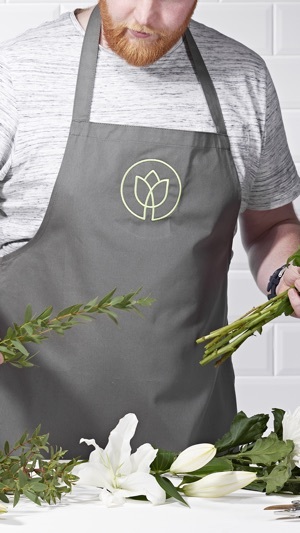 * Please note that next working day delivery of hand-tied flowers is a guaranteed and tracked service whereas the Royal Mail service for letter-box flowers and plants is not a guaranteed next day service. We've added a new range of seasonal bouquets and made some performance improvements. I have just received beautiful flowers in the post from postabloom from my son for Mother’s Day. The quality is excellent, what a lovely surprise! Flowers delivered on time, beautiful, fresh, lasted for ages and made my friend's day, she was over the moon. I chose the "Sparkle" letterbox flowers. Will buy again!